I’ve never read a memoir before but Chris Packham’s “Fingers in the Sparkle Jar” seemed as good a place to start as any. After all I’ve been watching Chris on television since I was a child, have met him numerous times in the wild and even attended one of his talks. I felt I knew the man pretty well. Turning that first page I went in with no preconceptions bar a vague recollection that the press had thrown a wobbly when the book was first published over a passage where Chris describes eating tadpoles. I remember being perplexed at this and thinking what a shame more people don’t get those same opportunities to experience nature on such a basic level in their early years. Though I have to admit my own preference would probably have been for wild blackberries but each to their own. Then I stumbled. Expecting a standard “I was born in a council house blah blah blah” narrative I was somewhat taken aback by the fluid prose which seemed to delight in excessive use of adjectives and unusual sentence structure, all told from another person's perspective. In fact the reading experience put me in mind of Bram Stoker’s Dracula which similarly had me re-reading whole passages in an attempt to better grasp their true meaning. Then the whole thing shifted into third person and then jarringly first person, confusing and unsettling me even more. Perhaps that’s the reason why the sudden interjection of Chris’s therapist discussing his suicide attempt in 2003 was quite so hard hitting. It was completely unexpected in both timing and content, a side to this public figure whom I greatly respected that up until that point I’d had no idea even existed. From that moment the book just clicked. The previously confusing prose painted vivid images in my mind, the switch in tense perfectly used to demonstrate how Chris saw himself and how he thought others perceived him and the constant shift in time a way of weaving interlinked threads together. I found myself so deeply involved that my heart genuinely went out to his suffering, from schoolyard bullies to plain old cruelty. That he was so misunderstood in his youth is clear, his subsequent rise to prominence all the more surprising. "Happiness, that's it isn't it, that's the big problem.....because it's the same old paradoxical recipe for misery, Over the years I've seen people's cravings for stability yield squalor rather than sparkle, their too-easy contentment gives them none of the excitement of a struggle against the odds, none of the allure of being plagued with uncertainty or teased by the appalling option of giving up. Their so-called happiness has turned out to be a promise of emotional and experiential poverty, and that's' why it, and contentment, must be avoided at all costs." If there’s a more powerful description of all that’s wrong with the lives we're told to strive for in this world of ours, I’ve yet to read it. 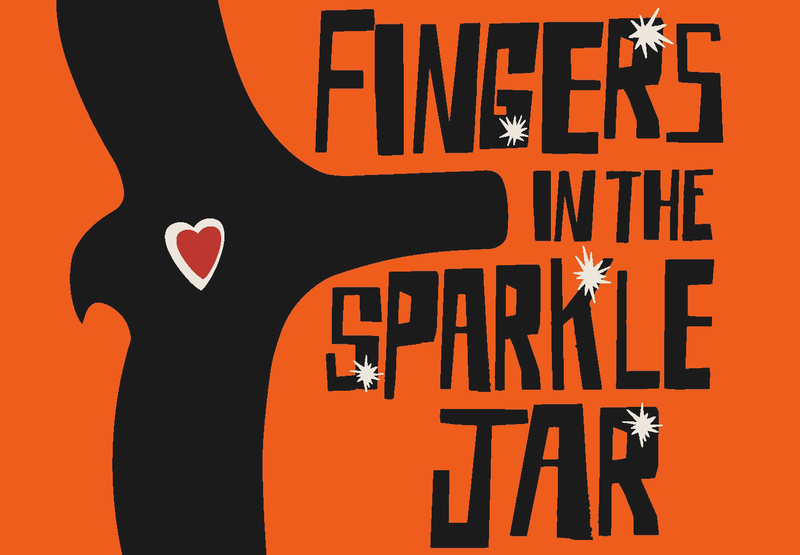 Needless to say I rate “Fingers in the Sparkle Jar” very highly indeed. It was an enthralling read from start to finish that left me questioning and pondering for many days hence. By the end I felt that I understood the place which built the man we see today, but it also left me wanting more, so much more. How for instance did this shy, awkward child lashing out as part of the punk movement find himself a children's TV icon. I only hope there’s another volume in the works.